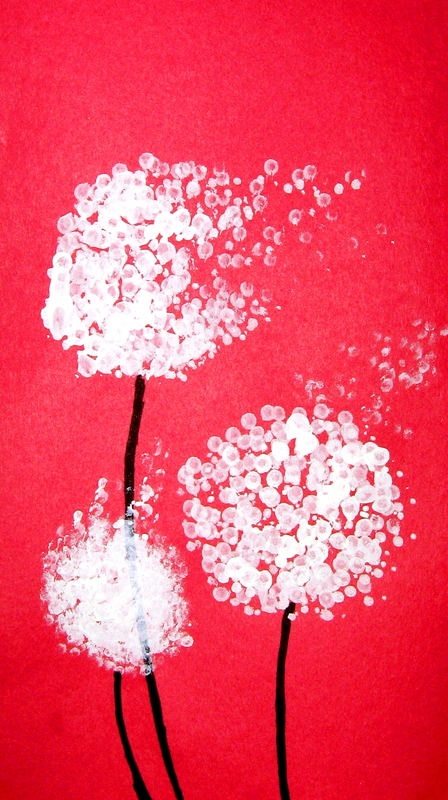 Students will use q-tips to make dandelion paintings. 1. 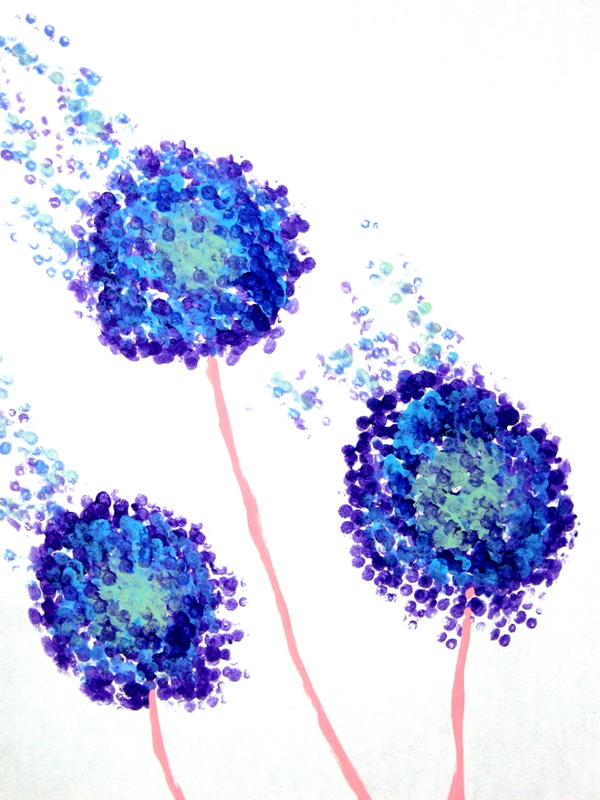 SWBAT make dandelion paintings using q-tips. 3. Gather a few q-tips and bundle them together with a rubber band. Dip them in the paint and begin dabbing paint inside the circle. Do one color at a time. Giving each color time to dry before moving on to the next. Make the dandelion look like it's blowing away dab some paint outside of the circle. 4. Next with a q-tip or a small brush paint stems for your dandelions.